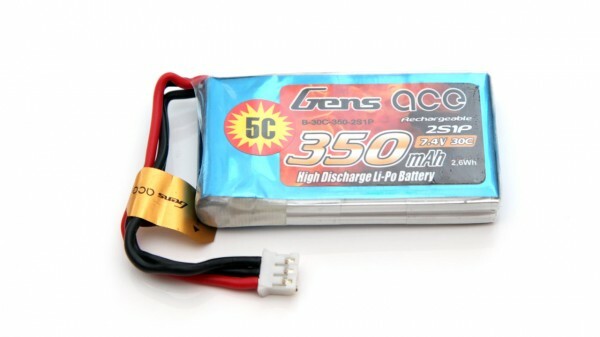 The 2S 7.4V 350 mAh Gens Ace 30C LiPo batteries are intended for use mostly in aircraft RC models such as helicopters and planes. 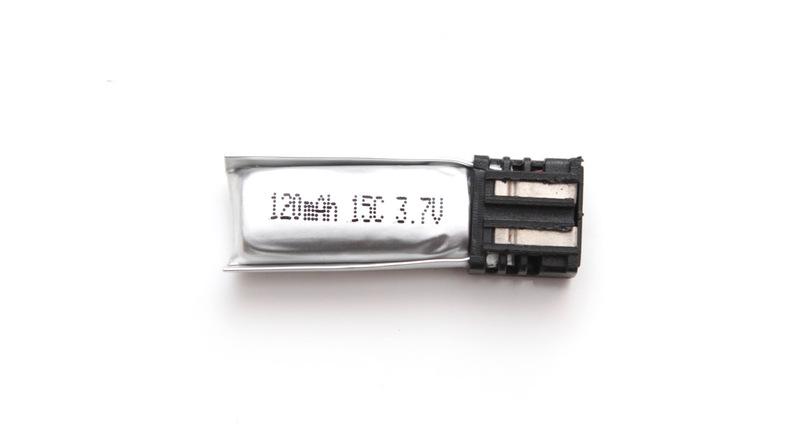 These compact LiPo batteries have a pretty high discharge and charge ratings that we need to confirm in our tests. What is important to note is that the maximum discharge rates mentioned in the specifications are for quite high Amps and the small cables and connectors of the battery may not be able to handle them well. Starting the tests with a 1C discharge rate (0.35A) for the 2S 7.4V 350 mAh Gens Ace 30C LiPo battery we’ve managed to get 381 mAh as a maximum capacity, a value that is about 9% higher than the official rating of the battery, so definitely a good thing here. Furthermore up to 25C constant current discharge rate the battery still manages to provide 363 mAh, still more than the rated capacity, though at that rate we’ve measured the battery ending up discharged with a temperature of 68 degrees Celsius or a bit high than the 60 degrees safe zone. The more serious problem however became apparent with the 30C constant current discharge rate test where 10.5 Amps need to pass through the small cables of the battery and this makes them very hot – up to 100 degrees and that is dangerous as they or the connector can melt and short the battery! While the 2S 7.4V 350 mAh Gens Ace 30C LiPo batteries are capable of handling a constant discharge rate of up to 30C as their specifications say the battery cables used are not designed to properly handle the 30C constant discharge rate!